FUNCTION FOLLOWS FORM at the Rigid String Level, with a Pairing-Splitting Dark Matter Black Hole . 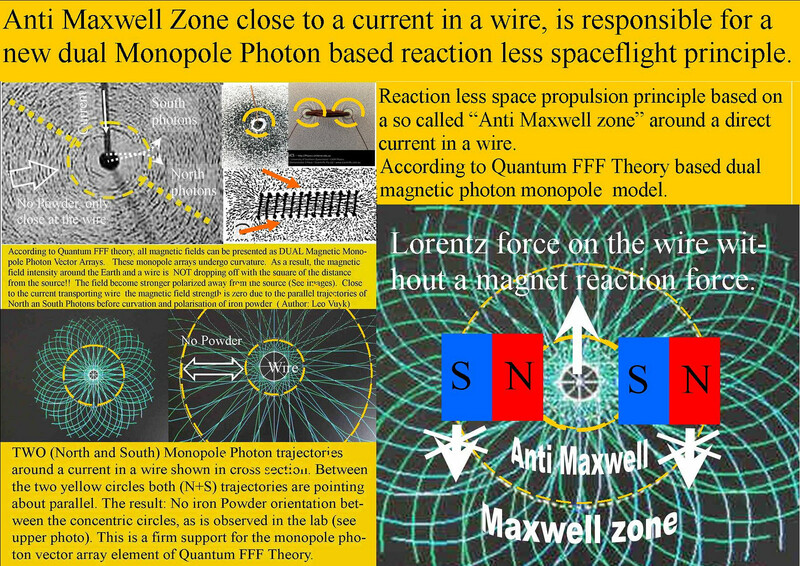 : Action without Reaction Symmetry For EM Space propulsion Thruster Technology. 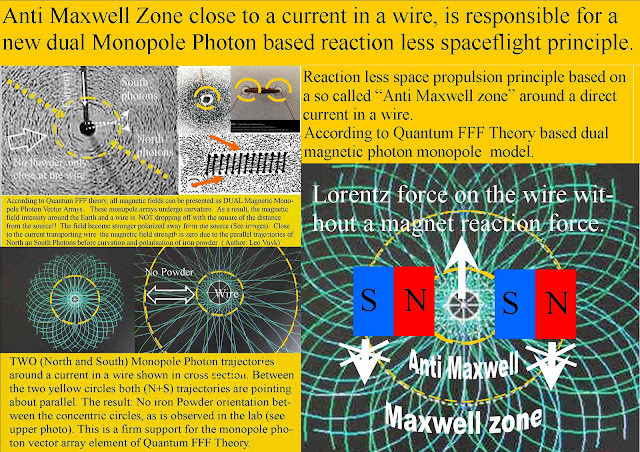 Action without Reaction Symmetry For EM Space propulsion Thruster Technology. 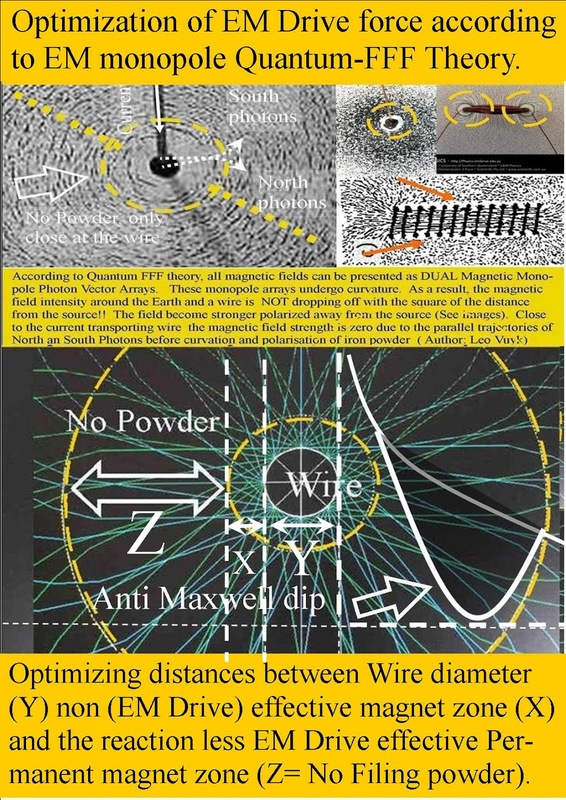 Based on observation of iron filing-powder patterns close to direct currents in a wire, it is assumed that these monopole ( N+S) magnetic particle/ wave dualities travel only locally parallel to each other without a magnetic field effect inside the oscillating Axion-Higgs field. 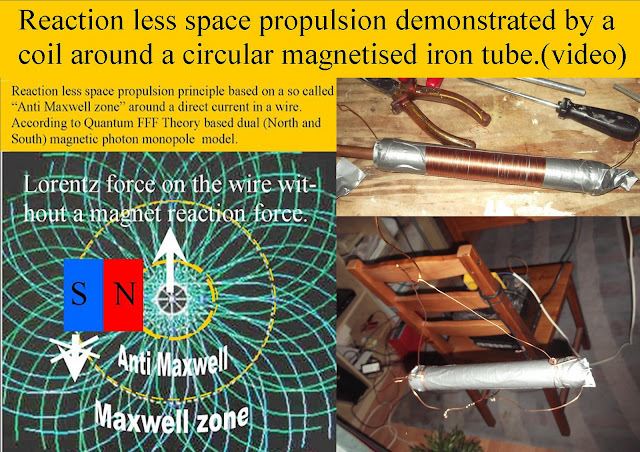 This in contrast with the natural opposing curvature of the so called B field. 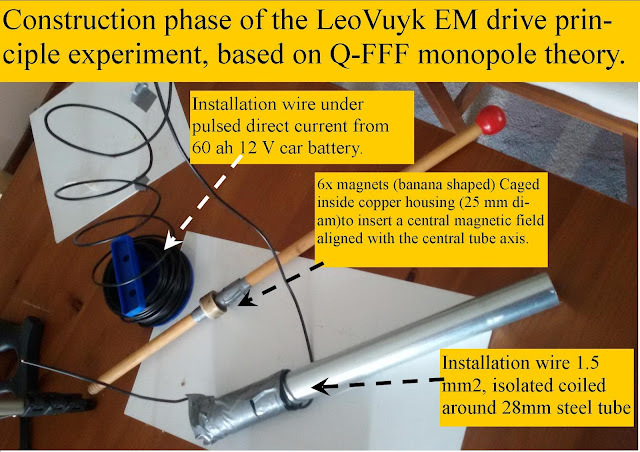 As a result, the magnetic field strength- created by the wire itself-locally drops down to zero, with a up to zero reduced Lorentz force on the iron filing atoms. 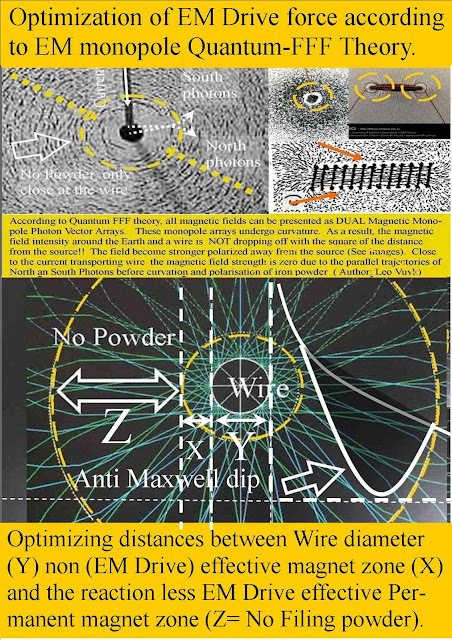 Optimizing distances between Wire diameter (Y) non (EM Drive) effective magnet zone (X) and the reaction less EM Drive effective Permanent magnet zone (Z= No Filing powder). 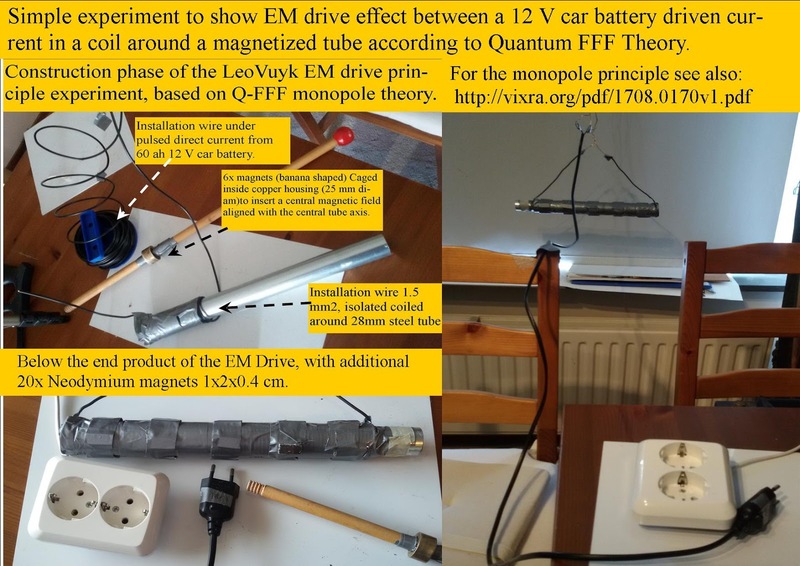 With extra external neodymium magnets for more power. Experimental construction phase of the set up of the EM drive principle.